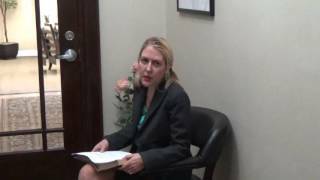 Part One: Why Would a Small Business Need to File A Bankruptcy? A colleague asked me this morning why a small business would need to file a bankruptcy, instead of simply closing down and walking away. Of course the owner might be facing personal guarantees for some of the business debts, and might therefore need to file a personal bankruptcy. But the purpose of this article is to explain why a formal bankruptcy is needed to dissolve a failed small business. This is part one of a three part series. In the next section, we will walk through the bankruptcy process from the standpoint of a small business owner. Finally, we will conclude this three-part article with some warnings of the pitfalls of a business Chapter 7. The definition of a small business is an independently owned and operated company that is limited in size and in revenue depending on the industry. A local bakery that employs 10 people is an example of a small business. A manufacturing facility that employs less than 500 people is an example of a small business. That’s the Small Business Administration’s definition. Of course, most of my small business clients are family owned and operated, with an average of 15-40 employees. In order to understand this legal issue, we must understand what a small business is, and how it might be structured. A small business is usually set up as either a corporation or a Limited Liability Company. Each type of entity, although set up differently, is considered to be completely separate from its “owners” or officers, directors, etc. The law sees a difference between the entity and its shareholders, to the effect that if the business is sued, the creditors cannot generally go after the owner’s assets. I am not going to get into the differences between a corporation and LLC in this article. For purposes of this article, I will refer to real corporations and LLCs as “corporations.” But of course, they really are not! A small business owner who operates as “sole proprietor” is one who does not take the necessary steps to set up a separate entity. His business is, for legal and tax purposes, considered to be a mere extension of himself. If his business falls to the swords of creditors, his personal assets are at stake. In hind sight, it is best for a small business owner to set up as a corporation before entering commerce…especially if the business will incur debts or face liability risks. Expenses exceed cash flow. Quite simply, the business cannot sustain itself as its spending more than it makes. This usually results in the owner dumping personal monies into the business in order to keep it alive, instead of drawing a salary or dividends. All too often, the owner will be in denial as to the true nature of the Money Pit, causing not only the need for a business bankruptcy, but also a personal bankruptcy. Loss of a critical account or contract. Sometimes, a business will fail because it put all of its proverbial eggs in one basket. The loss of a single revenue stream can therefore be devastating, particularly if the account cannot be replaced. Employee theft or related issues. A clever employee in a position of trust can embezzle funds from the small business and go undetected for years. Equally problematic is the ex-partner or key employee who leaves the company and forms a competing enterprise. The legal and practical battle over customers and employees can be devastating to the small business owner. Even with a well-worded non-compete agreement, the legal fees be overwhelming. The business was purchased from someone else, and the sale transaction was based upon fraud. I’m in the process of writing a whole article about this common issue. User error. Business ownership is not for everyone. It’s hard for some folks to transition from the corporate world to running a family company. A corporate executive’s vast experience in creating department budgets and analyzing profit and loss statements may not prepare him for the harsh realities of what to do when common but unexpected things happen, such as a restaurant’s AC unit dying in July. Large corporations can absorb large hits…in the small business world, not so much. A commercial eviction is pending, and the business owner is not quite ready to turn over keys. One of the benefits of filing the business bankruptcy is that an Automatic Stay will stop the landlord from proceeding with the eviction action. A judgment creditor of the business entity is harassing the owner and/or corporate officer through post-judgment subpoenas for depositions. This is a main reason why I will advise a client to do something formal, rather than just letting the business go by the wayside. Again, the bankruptcy will stop the creditor from doing anything in civil court against the business entity. Sometimes there are ancillary matters that can best be controlled and administered through the bankruptcy court. These actions might be employee/partner theft issues and other collection activities. The trustee will administer the estate and sell the assets so that the creditors will be paid. This avoids the necessity of the owners dealing with the winding down issues. There is symbolic value to letting the creditors know that the business is defunct and that there is nothing worth going after. 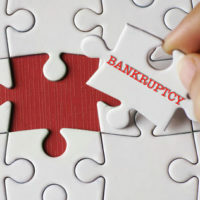 Keep in mind that involuntary Chapter 7 bankruptcy cases are extremely rare, although of course that’s another reason why a business entity might end up in a Chapter 7 bankruptcy. A lot of folks think that the simple failure to file the Annual Report on www.sunbiz.org will solve all problems. All this will do is cause the corporation to be administratively dissolved. However, keep in mind that at least in Florida, a defunct corporation can still be sued in court. The good news is that it is also allowed to file a bankruptcy! Stay tuned for the next part of the article, which will explain “how” to filing a small business Chapter 7 bankruptcy, and what to expect through the process. In the previous article, we discussed several reasons why the officers of a business entity would need to file a formal bankruptcy, rather than simply “walking away.” But what actually happens when a corporation or LLC files a Chapter 7 bankruptcy? As in the last section, I will here as well refer to all business entities as corporations for simplicity in prose. However, keep in mind that there are significant differences between corporations and Limited Liability Companies. The bankruptcy case begins with the filing of a Voluntary Petition for Bankruptcy which is signed and filed by a corporate officer who has authority to take action. The individual signing the petition must have the authority to bind the business entity. Just like any bankruptcy filing, the business entity must list all of its assets, liabilities, and income. The responsible corporate officer is oftentimes the sole owner of the business. He must be careful to keep his own personal assets separate from the business bankruptcy filing. By the same token, if he has loaned money to the business over the years, he can list himself as a creditor, and possibly recoup some of his money if the trustee is able to liquidate the business assets for real value. Just prior to filing the bankruptcy, or immediately upon the filing, the business should cease all operations. Employees will likely not be paid for any work that they do after the date of filing. Accounts receivable are the property of the bankruptcy estate, and the trustee will take over collections. There should not be any distributions or wages paid to shareholder or officers of the corporation during and right before the bankruptcy filing. If unusual or large payments are made to any insiders prior to the bankruptcy filing date, the trustee will usually require that the funds are returned to the business bank account for distribution to creditors. When the case is filed with the bankruptcy court, there is a Automatic Stay which prevents any creditors from doing anything to collect the debts of the business. This will prevent commercial foreclosures and evictions, as well as any other civil collection lawsuits. You should note that the Automatic Stay only protects the business entity that has actually filed the bankruptcy. It will not stop creditors from pursuing their rights against anyone who has signed a personal guarantee. It may also not protect any subsidiaries of the bankruptcy business entity. About four weeks after the filing of the petition, the corporation’s responsible party will attend the 341 Meeting of Creditors. While any duly-authorized individual can sign the bankruptcy petition and declarations, that same individual must attend the 341 Meeting. The corporate representative will answer questions under penalties of perjury on behalf of the entity. Most of the questions that the Chapter 7 trustee will ask relate to the assets of the soon-to-be liquidated business entity. If the trustee has not stepped in and taken physical control of the business and its inventory, leasehold and other assets by this time, you can expect that he will do so at this meeting. The debtor’s representative should bring any business keys, computers, records and bank account access information to the meeting if he has not already provided these items to the trustee through his attorney. The level of sophistication for each of the above individuals can vary greatly. The trustee and debtor’s legal counsel will usually work together to preserve decorum during the meeting. If the case is involved or if there is a large number of creditors in the room, the trustee will usually continue the meeting to another date, in the interest of time constraints. Normally, the 341 Meeting should not last more than a half hour. After the conclusion of the 341 Meeting of Creditors, the trustee will usually auction off any assets. There are companies that will take possession of business assets and sell them to the highest bidder. Then, the trustee will distribute the funds to the unsecured creditors. The debtor’s principal, or even a successor entity, can bid on the assets. Any property that has secured claims associated with it would be claimed by the appropriate creditor as collateral for the debt. If the business has little or no assets and there is nothing to distribute significantly to the creditors, the trustee will abandon the assets, leaving the liquidated entity to dispose of its own nominal items. Once the liquidation process is complete, the bankruptcy case is closed by order of the court. Unlike an individual who files a bankruptcy, a business entity does not get a discharge from its debts. However, for all practical purposes, the business entity can now rest in peace, as it is officially dead. In the last two sections, we learned some reasons why a business entity might need to formally file a Chapter 7 bankruptcy. We also covered the procedural details of what the corporate bankruptcy would look like from a debtor’s perspective. However, the filing of a business bankruptcy might not always go smoothly. The purpose of this final section is to explain some of the common complications in a business Chapter 7 liquidation. First of all, let me explain the biggest reason why a business owner might want to avoid filing a Chapter 7 on the bankruptcy. The bankruptcy process can be one of great scrutiny. Many cases are reviewed not only by a Chapter 7 panel trustee, but also the U.S. Trustee’s Office, which is part of the Department of Justice. If the owner has repaid loans to himself or family members, or transferred business property outside of the ordinary course of business prior to filing the bankruptcy, it can become a problem for him personally. A corporate representative can find himself in real, personal trouble if his activities are found to be fraudulent or improper. Sometimes, it’s just not worth the risk. In our last section, we noted that the Automatic Stay doesn’t protect personal guarantors or subsidiary entities unless they have also filed their own bankruptcy case. One of the pitfalls of a bankruptcy is that even though a business entity files the case, the personal guarantors can still be sued in state court. If the litigation in state court is progressed to the point of judgment enforcement, the guarantor can face wage garnishments and other discomfort. The Automatic Stay is also not absolute. Oftentimes, creditors will file a motion with the court to life the automatic stay. This is usually when there is a secured creditor such as a commercial mortgage holder or landlord, and the debtor is not willing to make adequate protection payments. The debtor can also lose its stay protection if the judge finds that the filing of the bankruptcy petition was simply part of a scheme to hinder or defraud creditors. If personal property is left with the business assets, it could be lost. Make sure to keep personal items separate from business assets. Of course it goes without saying that a small business owner must have, and use at all times, separate bank accounts for all business transactions. Comingling personal assets with business assets, or using personal and business credit cards interchangeably for personal and business debt is a recipe for disaster. Adversary proceedings are somewhat common in business bankruptcy cases. Think of an adversary proceeding as a separate lawsuit that is filed in connection with the underlying bankruptcy matter. The adversary case begins with the filing of a complaint and the issuance of a summons to the defendant. It is given its own case number, and has its own court docket and deadlines. The two most common examples of typical adversary cases that I see in Chapter 7 cases are creditor preference actions, and allegations of fraudulent transfers. The timing of payments to creditors, and transfers of property, prior to the filing date is an issue that should be carefully scrutinized by all who participate in the bankruptcy process. Through a “clawback” action, the trustee can attempt to undo any improper transfers, so as to put the bankruptcy estate in the same position that it was prior to the debtor’s improper actions. The filing of a Chapter 7 bankruptcy cannot be undone. This means that unlike some other bankruptcy chapters, the Chapter 7 debtor cannot simply change its mind and dismiss the case voluntarily. Once assets are identified, you can bet that the trustee will work aggressively to liquidate them. Unlike an individual who files a Chapter 7 bankruptcy and is allowed to keep certain exempt property, a business entity has no exemptions. Therefore, any assets that it owns will be completely liquidated. What about successor liability in cases of a friendly trustee asset sale? There is case law to suggest that the new owner of the assets could be liable for the debts of the dissolved corporation. This is true if the successor company is seen as a de facto merger or mere continuation of the bankruptcy debtor. It can also be a problem if the judge finds that the bankruptcy debtor entered into the sale transaction in order to escape liability for the debt. A corporation does not get a discharge – so what happens after the case is closed? At this point, all of the assets have been liquidated and the trustee has made the appropriate distributions to creditors. The bankruptcy case is then closed. The business entity itself might exist on paper, and there is no rule saying that it cannot re-activate its registration and re-start. However, from a practical matter, it will have no credit or real ability to raise funds. What usually happens is that the responsible parties, should they wish to stay in the same industry, will form a new business entity. Remember, one of the common, and perfectly valid, reasons to file a formal Chapter 7 bankruptcy to dissolve a defunct business is to provide the officers with a sense of closure. If you can avoid this pitfall, the failed business then becomes a bad dream which will be forgotten eventually – a lesson learned, rather than an ongoing nightmare.